The best and one of the most amazing dairy alternatives can be easily made at home. And yes you can make it too! With nuts and seeds you like the most and water. That’s it! Vegan and raw food lifestyles made nut milk (also spelled mylk) extremely popular. I first learned about Nut milk when I watching David Wolfe (the raw food guru) making a tonic elixir using almond milk as a base. 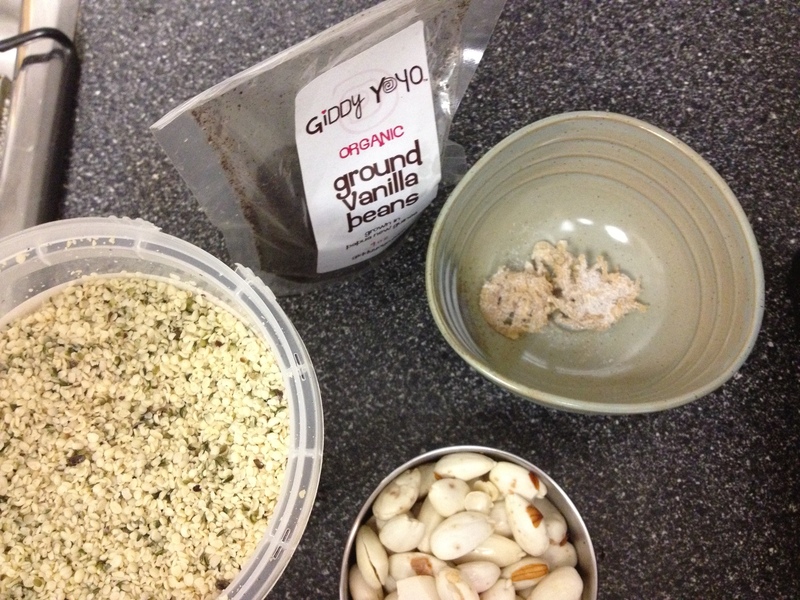 That begun another journey towards using spices, herbs and superfoods in my smoothies. I discovered as I taught my students to make fresh nut milk it was creamy, smooth, frothy, rich and nutty! I love using a tablespoon of hemp seeds with my almond milk and it makes it more delicious. I do not vote for soy and rice milk. If soy is not organic the chances are they are GMO and rice milk is way too watery and sweet for my palate. Best of all almond milk really do taste much better. Although you can find “Almond Breeze” or any other brand of almond milk in any healthy food store or a specialty grocery store, they would always contain “un-pronounceable, non-food” preservatives. 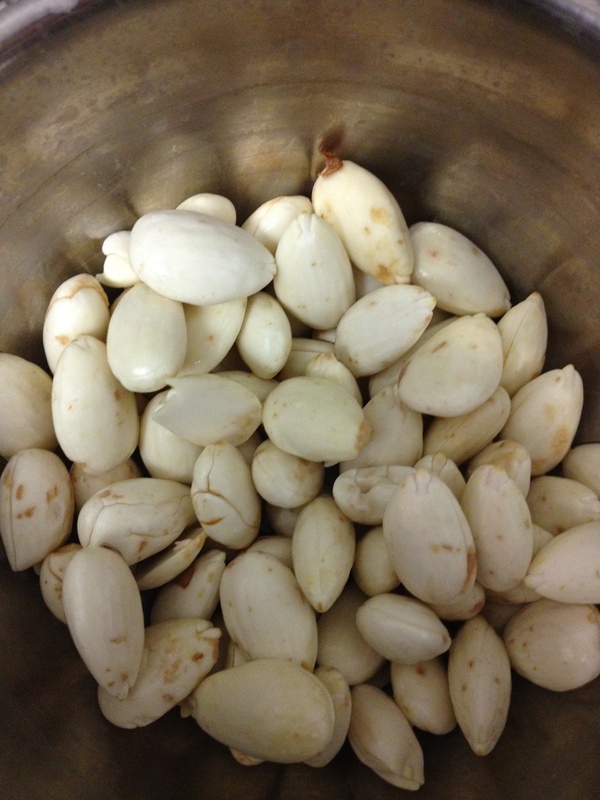 Pre-soak raw almonds overnight with a cup of water. If you can peel the skins. If you press it between your thumb and index finger it literally pops out. I do this while watching TV. Vitamix/Nutri Bullet or a high speed blender required. Rinse and drain water from the pre-soaked almonds. 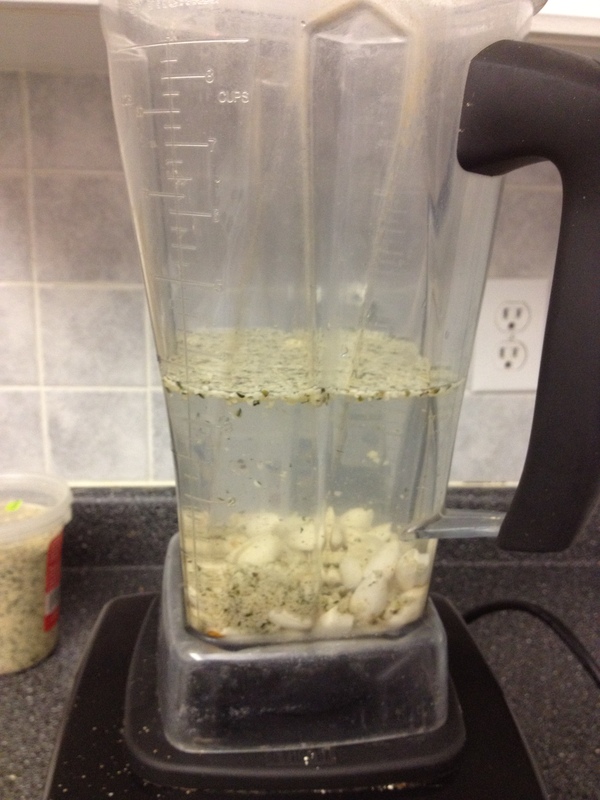 Put all the ingredients (but the sea salt) inside the blender and blend until smooth. Put the nut milk bag and open it on a stainless bowl. Pour the almond milk on the milk bag and slowly squeeze out the liquid until all of it is in the bowl and you are left with the meaty almond chunks. Pour the milk into your glass jar and refrigerate. Add the pinch of salt and shake the jar or bottle well. 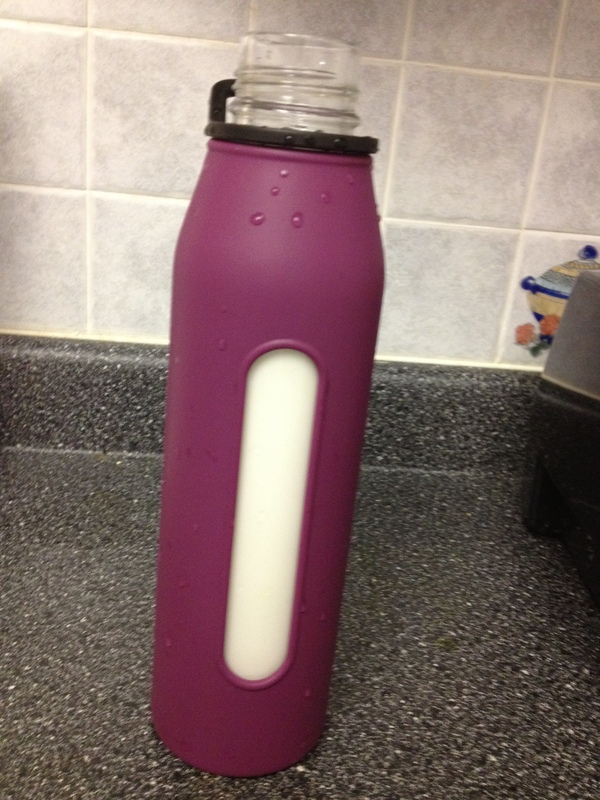 Make smoothies, hot chocolate, desserts using this milk. This will stay good in the fridge for 5-6 days. Add spices like cinnamon, cardamom, nutmeg or a yogi tea spice mix. Add raw unpasteurized honey or medjool dates to sweeten the milk. The residue (almond pulp) from the almond milk can be used in baking or as a face mask. A great source of omega 3 which is an essential fatty acid. This fatty acid is healthy fats that great for heart health, hormone balancing, lowering blood sugar and weight loss. Almonds are rich sources of an array of vitamins and minerals, such as vitamin E, tryptophan, iron, coppers, zinc, selenium, manganese, magnesium. It is so creamy that is can easily replace dairy if you are allergic to it. Almond milk is amazing for people with lactose intolerance because it is lactose and casein free. Amazing for bone health due to its calcium and magnesium content. Almond milk also contributes towards vision health as it contains vitamin A, omega 3 and vitamin E.
The vitamin E is a powerful fat soluble vitamin and antioxidant that also increases availability of vitamin A. The vitamin E is amazing for skin health. If you can still drink it when you are doing a raw food cleanse. If you make it at home you know there are no antibiotics, or hormones in the milk.You can drink almond milk on its own or used in smoothies, and desserts. Almond milk does not contain any cholesterol. Almond milk also contains high amount of potassium that helps promote healthy blood pressure. Almond milk also have small amount if protein, iron and B vitamins – all of these are great for growth, energy and muscle repair.